In this very memorable travel photo this is a wide angle view of a Khmer boy posing on his bicycle in a rural village just outside of Battambang, Cambodia. Having the opportunity to travel to rural areas outside of the city was my favourite experience while staying in Battambang. When you have the opportunity to encounter friendly faces it makes the journey even more memorable. This here is a travel photo from Battambang, Cambodia. 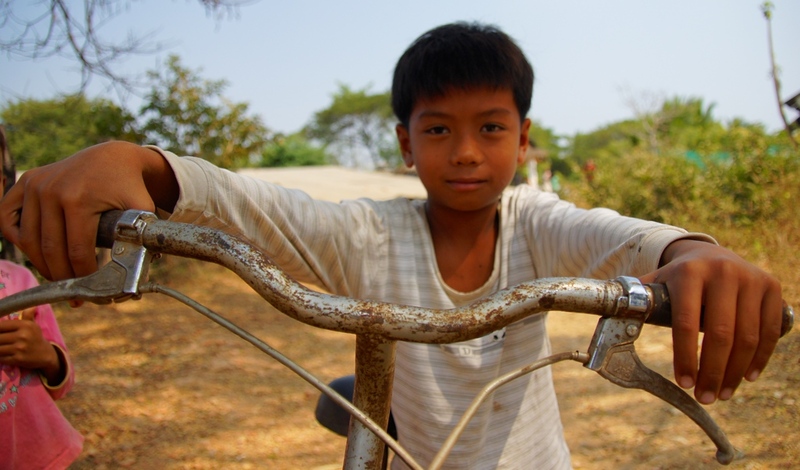 To view more photos from rural Battambang click on the friendly looking Khmer boy. I love pics like this that capture the spirit of a place.